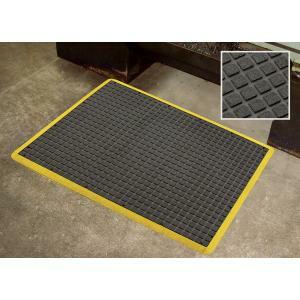 Air Grid is an ultra comfortable, rubber anti-fatigue mat. It is non-slip, hard-wearing and has suction caps on the underside which assist in floor adhesion. With 10 drainage holes, it is suited to wet and dry areas.